With the rapid development of communication technology such as smart phones, tablets and other mobile devices, some people believe that the disadvantages outweigh the advantages. I discussed both advantages and disadvantages. However, I wrote that these devices can cost people a lot since they are tempted to overuse the services offered in such devices. Also, I mentioned that a advantage is people can save time by using these devices. So, how much score could I get? It is completely impossible to tell you what score you could get based on the information you have given. 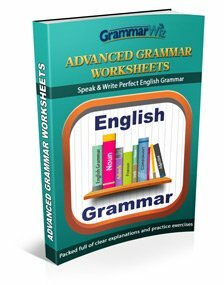 You are marked on a wide variety of things under four different criteria, including such things as grammar and coherence, not just how you answered the question. What I can say is that the ideas you mentioned would be on topic as they are connected to the advantages and disadvantages but that is all that can be said. As I said, it's marked on far more than just your ideas though, such as how well you explained them and supported them. So you will just have to wait for your result. I argued that people can save time on using sevices offered by banks. I gave one example for such services was sending money via operations on the Internet rather than going to banks. I am afraid that it does not relate to communication. Could you give me some comment about this ? Hello.. I want to know that can we add aphorism such as "every Cloud has Silver lining" in my writing task 2..???? Yes, you can use any Idiom or saying or axiom as long as it is relevant to writing topic at hand and grammatically correct. How to answer this type of task 2? Regarding the question above, the task is that if you agree or disagree? If you totally agree that the disadvantages outweigh the advantages, you need to set out your reasons to support your position and mention the disadvantages of the modern communicating technology. However if your position is that you totally disagree then mention the advantages only. If you partially agree the you need to mention both. Is that correct? What do you think? - You can mention only advantages/disadvantages when you totally disagree/agree. However, I often find it difficult to do this. - You mention both pros and cons, but you have to state whether you disagree or agree or partly agree since the question asks your opinion. Some things can really depend on how your worded what you said, so it's difficult to say for sure, but dealing with your bank is a form of 'communication', whether it is in person or online. So what you said may well be ok.
No you should not use idioms such as "Every Cloud has Silver lining". These are informal so do not fit an academic essay. It will ruin the style of your writing. Yes you can do it as you say i.e. completely disagree then only argue one side, or partially disagree and look at both sides. But you don't have to approach it that way. Remember you can consider both sides whatever your opinion is. For example you may decide to totally agree but you can still give the OTHER SIDES opinion to show there are other views that do not match your own. You just have to make sure you have the writing skills to be able to make it clear what your view is and that your are giving other opinions that are not your own. If you word it confusingly it may look like both opinions are yours and then it will not match your view in the intro / conclusion. That will lose you marks. So how you approach it really depends on your skills. If you are lower skilled then do what is simplest, which is probably totally agreeing or disagreeing and giving your reasons why. I thoroughly believe that all of us should get to know how we get band 9 for above 2 and try it. It will end up with obtaining higher marks other than working towards getting 6.5 or 7 - which is our actual required band score. Is it possible to obtain 9 from speaking and writing if we try hard? If so direct us to do so. It's really not possible to give general advice on how to get a 9 that would be useful for someone who is a much lower score. Most people will never achieve that anyway so it is a waste of time. It's only worth it if someone is say a band 7.5 or 8 and they need some specific coaching to get a 9. Also there are so many tips it's not possible just to explain them all here. All the tips and strategies to get a higher score are here on the website so it's best to take a look through that to see what you need to do. 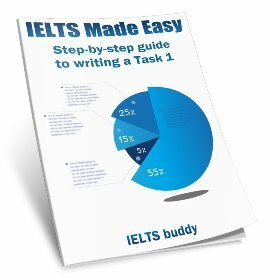 Do you need help with your IELTS writing? 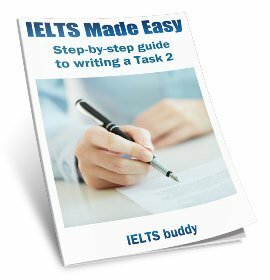 Need help to improve your IELTS writing? 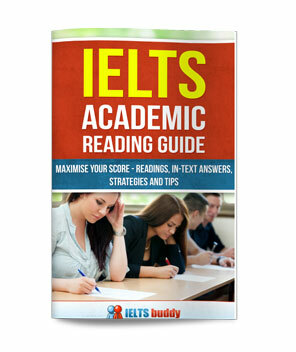 Kindly give a score for my essay. Topic: Some believe that going to university is important but some people think its not necessarry. Give your opinion with example. Although a vast majority of people believe that going to an university is necessery, there is a minority who think it is not important. Both have advantages and disadvantages of its own. Secondly, it helps you socialize with people from different backgrounds. It is indeed a gift to be able to be with people of different races and cultures. Last but not the least, holding a university degree give you self confidence and pride. However, inspite of this, there are people who think going to university is not important. Given the freedom, they feel they can achieve greater heights even without a university degree. All they need is a place to think. There are people who cannot get into university because of their poor economic and social backgrounds. Yet they have reached heights unattainable by their university counterparts. Einstein is a perfect example for this. Being an university drop he explored the part of the universe unimaginable by the rest of the world. He set forth theories that seemed bizzare to the rest of the world at that time, and proved them too. Its your choice. Who you are depends on what you choose to be. If you believe in yourself, anything is possible. Without a valid university degree, establishing a career is difficult. Life will be much harder initially. However, believing in yourself will definitely take you to greater heights. In conclusion, i support the fact that going to university is not a necessity but a choice. No one should be forced into getting a university degree, at any stage of their life. Each one should realize their own potential and learn to grow individually. Nowadays, the rapid changing of technology become the most influenced thing in the world. Most of people’s lifestyle have transformed because of technology. The young group are much more motivated by this changing, thus making them the power to dominate and show their influence to the others. This essay will discuss some causes why this is happening and how this condition impacts their relationship with old generation. Firstly, the types of job requirements related to technology are fit for the youngsters. There are so many criteria that very far from old peoples’ characteristics. Those position are requesting a number of requirements including curiousness, fast learner, enthusiastic, and flexibility on the changing of technology itself that can happened every time. Therefore, the world is getting hard for any previous young aged which is easier for the rest. Secondly, regarding to physical requirement of some job positions in the high level of competition between companies, there is very important for companies to have strong ability in human resources aspect. Young aged employees are frequently much more reliable than senior employees especially in some abilities such as willingness to improve their skills, open minded to various ideas, braveness to take some risks, and good in motivation. However, these phenomenon also caused downside effect in relationship among both generations whether in workplace or daily activities. The most extreme problem is happened due to old people is getting less contributions to many aspects of life and their become frustrated, moreover for them who do not have adaptation ability. To conclude, some fields of business such as technology and information are dominated by young people even though they are seen as less experienced. However they determination to most importance requirements in companies are more vital in this era. You guys think it is a good essay ? Essay Topic: Some people say that the only reason for learning a foreign language is in order to travel to or work in a foreign country. Others say that these are not the only reasons why someone should learn a foreign language. looking for well-rounded employees who can speak other languages other than their mother tongue. original languages enables us to truly value the world around us. Myself Ankit Dave, residing at Mahavir nagar, Kandivali West, writing this letter in with regards to register the complaint to your authority about the road construction work going on in my area. I would like to the draw the attention to of your authority that since last 3 weeks there is a massive road construction work going on at Jijabai chowk near intersection at mahavir nagar, there are heavy machines and equipments such as bulldozers, concrete mixtures and road crushers being utilized throughout the day which was still not an issue, but my concern arises that they are working even at midnight, making me disturb and unable to sleep at night resulting into lack of focus at work and feeling dizzy at my work place. I would like to appeal to your authority to please look into this and try to stop the construction work at night after 8 pm to 7 am, this will help not only me, but all other residents staying nearby to the construction site. I hope my letter will make you look into this matter on the serious note and I wish your authority will take prompt action and help us to have peaceful nights.